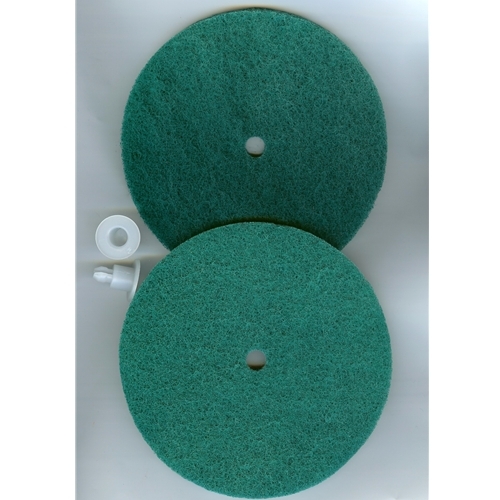 Pads scrub heavily soiled floors and remove wax build-up. Made of weaved nylon fibers. Not recommended for wood floors. Set of two Pads and two Retainers.